In an internal memo sent out to its employees on Monday, Samsung said it was "disappointed" to have been found guilty of patent infringement, but said the company will do its "utmost" to prevail in appeals against Apple. The memo also states it is "regrettable" that the court's decision "caused concern among our employees, as well as our loyal customers." Apple was awarded $1.05 billion last Friday by a jury that found Samsung had committed patent infringement. Samsung's statement to employees notes that a final ruling from the judge still remains, along with other "procedures." 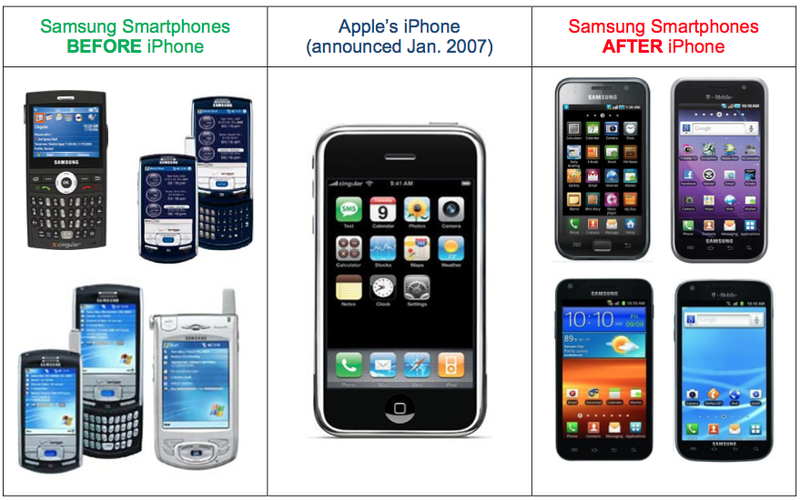 Among those is the appeals process that Samsung will presumably pursue to reverse the decision. The company also issued a public statement last week calling the decision a "loss for the American consumer." The company claimed that the decision "will lead to fewer choices, less innovation, and potentially higher prices." Apple, meanwhile, said the case was about "much more than patents or money," highlighting the company's "values" as the crux of the dispute. "At Apple, we value originality and innovation and pour our lives into making the best products on earth," Apple said in a statement. "We make these products to delight our customers, not for our competitors to flagrantly copy." Samsung's statement to employees on Monday predicted that Apple's litigation could backfire on the company. "History has shown there has yet to be a company that has won the hearts and minds of consumers and achieved continuous growth, when its primary means to competition has been the outright abuse of patent law, not the pursuit of innovation," the memo reads. However, the judges final ruling remains, along with a number of other procedures. We will continue to do our utmost until our arguments have been accepted. The NDCA verdict starkly contrasts decisions made by courts in a number of other countries, such as the United Kingdom, the Netherlands, Germany, and Korea, which have previously ruled that we did not copy Apples designs. These courts also recognized our arguments concerning our standards patents.